Foscarini’s Spokes 2 pendant light features a stunning, lightweight shade that brings in mind aviaries, antique oriental lanterns and, from down below, spokes. 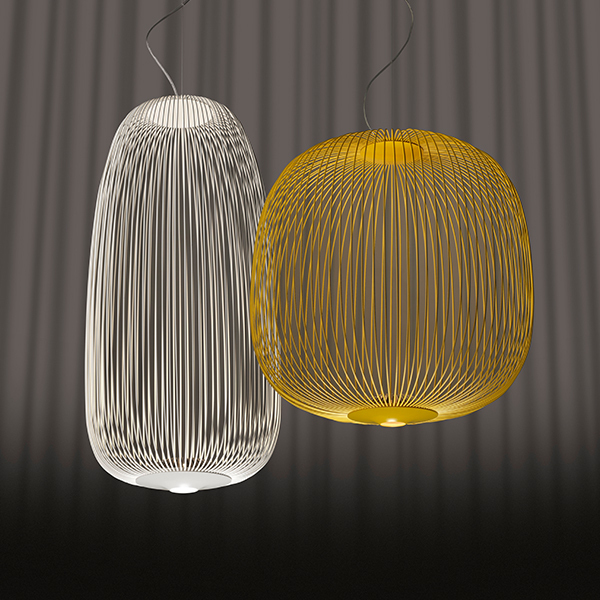 The designers, Vicente García Jiménez and Cinzia Cumini, were inspired by the graphical nature of bicycle wheels and named the pendant after their delicate metal parts. 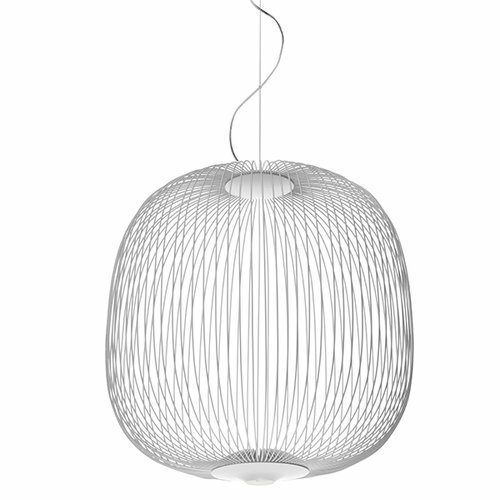 The unique shade consists of a series of softly curving steel wires that form a pleasant, round shape. The LED light illuminates both the sculptural structure and the space below it. Spokes 2 will attract well-deserved attention in any space.